Kpop in Hungary + Jaebum In Exam Papers?? A scan of a test paper has been heavily circulated on the internet! Singer Rain will be participating for car racing F1 (Formula 1) with world star Beyonce. Coming 27th September, ‘2009 F1 Singtel Singapore Grand Prix’ will take place in Singapore. And Rain will be amongst the crowd of artistes at the event like Lindsay Lohan, No Doubt, Black Eyed Peas etc. 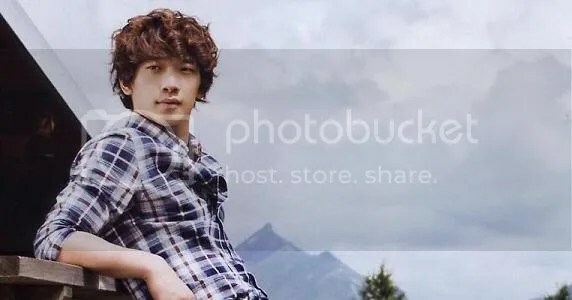 It is said that Rain will also be promoting his upcoming Hollywood film ‘Ninja Assassin’ set to air in November over in Singapore. 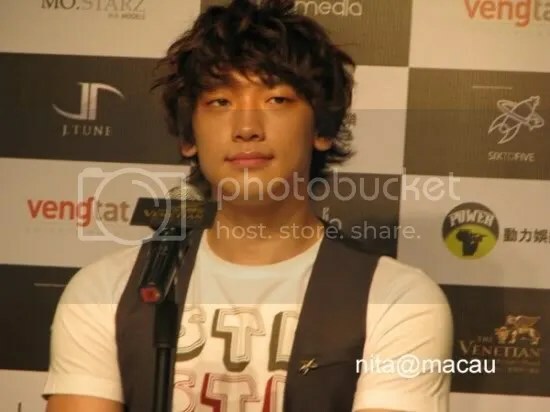 Rain will be appearing on various media broadcast shows in Singapore like ‘F1 Rocks’. Also, he will be making a visit to ‘Chinese and Japanese Garden’. He will also be interacting with the winner of 2008 Grand Prix Mark Webber. This event will be covered by media from over 200 countries like BBC, ESPN, Fuji TV, CCTV, MTV etc. Meanwhile, Rain will be back in Korea after finishing his promotions in Singapore on the 24th. And he will be preparing for his 2009 Asia tour ‘Legend of Rainism’ in Seoul on 9th and 10th October. Filipinos Can Demand to Meet Their Kpop Stars! Pinoys can finally meet their favorite Korean stars in November—but only if they demand it. To celebrate the 60th anniversary of the Philippines-Republic of Korea Diplomatic Relations, the Korean embassy is holding a cultural festival November this year. The festival will also cap year 2009 as the “Philippines-Republic of Korea Friendship Year,” as stated by Proclamation No. 14298 signed by Pres. Gloria Macapagal-Arroyo last May 2008. PEP had a chance to talk to Kiejoo Kim, Counselor for the Korean Embassy in the Philippines, last Thursday, Sept. 17, at Shangri-La Plaza Cinema 3 during the press screening for the upcoming Korean Film Festival in Shangri-La Plaza Cinema 3. Kim said his Embassy is planning to bring Korean performers to the country. PEP asked Kim if the Korean Embassy is planning to include among the cultural performers the Korean pop (K-pop) stars currently making waves in the Philippine music scene today. But Kim quickly added that the plan can push through easily if Pinoys loudly voice out their demand, using surveys, blogs, signature drives, and other platforms. According to media reports, Fox has spoke numerously about her admiration for Rain while on the movie promotional tour. And that was not just a comment made by Fox; she has indeed extended a dinner date to Rain through her manager but was rejected by the Korean star who was “not interested”. Yet, the rejection did not wound her pride and ironically, it has built up stronger interest of Rain in Fox who recently criticized the comparison of herself to Angelina Jolie. According to reports, Fox loves such challenges and has no plans to give up. She would continue extending her invite to Rain, hoping that he would agree to meet up someday. ooo btw I just watched Transformers: Revenge of the fallen:) I didn’t like the plot that much but the action was awesome! Rain celebrated his 27th birthday on 25th June and for the first time in ten years, he spent his birthday in Seoul, with his family. It was a happy day for him, until he found out about his idol’s death the very next day, at the airport, on his way to Macau.